The Rigpa Shedra will seek to provide the very highest standard of education in all areas of the Dharma, free of charge wherever possible, inspired by the great monastic universities of the past, and in the spirit of the non-sectarian Rimé movement. Inspired by the vision of Sogyal Rinpoche and the achievements of great centres of buddhist learning from the past, such as Nalanda in India, Shri Singha shedra at Dzogchen Monastery, Kham-jé at Dzongsar and more recently, Larung Gar, established by the great Khen Rinpoche Jikmé Phuntsok, the Rigpa Shedra will seek to provide a thorough and comprehensive Dharma education of the very highest standards. The approach will be traditional, based on the proven methods of the unbroken lineage of learning and realization that dates back to ancient India, and will encourage not just formal study, but also deeper integration of the teachings through contemplation and meditation. The curriculum will be designed with a view to supporting the needs of the wider Rigpa Sangha, complementing the teachings of Sogyal Rinpoche and also the courses offered in Rigpa centres throughout the world. It will be entirely non-sectarian, and will feature the most important writings of the great Indian and Tibetan masters, including works on both sutra and tantra. The teachers providing commentary on these texts will be highly qualified khenpos and acharyas. Additional teachings and guidance will also be sought from many of the lamas connected with the Rigpa sangha. 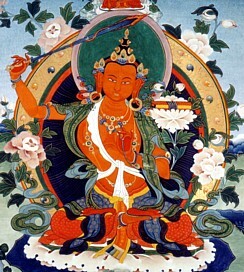 In addition to studying the most important classical writings, students will have the option to study the Tibetan language, and all the major and minor sciences studied by the panditas of India and Tibet, including the history of Buddhism in India and Tibet, Tibetan medicine, astrology, grammar (according to the main Tibetan grammar treatises), poetry and arts and crafts. Modern technology will be employed wherever possible to facilitate study. Every effort will be made to provide this education as freely as possible, through the establishment of a well-funded, transparent scholarship scheme and a strong commitment to sharing teachings and other resources via the internet and in other ways. The Rigpa Shedra will also be a major centre of translation work, providing the ideal circumstances for collaboration between translators fluent in European languages and scholars learned in the teachings, in keeping with the traditional ‘lotsawa-pandita’ model. In addition to translations, the Rigpa Shedra will also provide various reference materials to support the needs of students, including textbooks, edited notes, diagrams and other resources. The Rigpa Shedra will work to develop an archive of audio, video, photographic and written materials. Students will have the opportunity to contribute to the creation and maintenance of this archive, as well as related projects, such as the inputting of Tibetan texts and the gathering of rare audio recordings and their transference to digital format. In all its activities and projects, the Rigpa Shedra will consider the local environment and community, and will strive wherever possible to contribute constructively and to foster harmonious ties.